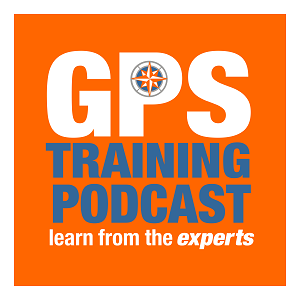 Welcome to this month’s GPS Training podcast, it’s our 12th episode. It’s our 12th podcast, we did our first ever GPS Training Podcast in September last year so its nearly at our 1st birthday, maybe we can something a bit different next month. Then the following month, October, we first streamed it live in Facebook. and of course, Duncan, the Scottish guy who has built his own rowing boat and is rowing across the Atlantic and as of Thursday he is half way so he’s going well. Duncan has got one of our Garmin inReaches with him and if you get our Friday newsletter you will have been able to track him live online. Let’s hope over the coming year we can continue to get some great guests on. 4. If you get our weekly newsletter you will see this week I asked if anybody wanted anything covered in this month’s Podcast. On the back of this request, we got lots of ‘support’ questions of how to do this/ that etc so this month, for one month only, we are going to have a ‘Ask Andy’ when I will ask Andy some of these technical/ support questions that we received this week. Last month we had Tom on the podcast talking about the new Garmin Fenix plus GPS watch. In the GPS Training online resource, Andy has put together some great step by step videos about everything you need to know to use the new Fenix 5 plus to its full potential. – Why would you choose one of these units, what are the benefits for the trail riders. – What map set do the trail riders use and why? – I suspect everybody knows what a bike mount is but what Andy is the AMPS kit and what are the benefits of it. – You want either a bike mount or an AMPS kit, is that right one or the other? – So this fits onto your handlebars, the bike or amps kit sits on the top of it and then your GPS sits in that? If you want to find out more about this Andy has done a video taking you through everything you need and how it all fits together maps – and you will see – Garmin Montana 610 Trail Riders Bundle – with GB OS 1:50k Mapping. AND this month we also have had a Top Tip emailed in from Andy Cousin, many thanks for this. Hi guys, really enjoying the podcast and the online resource videos are brilliant, I have a tech tip that may be helpful, when planning a route on Garmin Basecamp (on Mac, but may work on Windows) I’ve found that instead of using the black box to move the map and zoom in / out you can use your keyboard arrow keys to move the map and the + and – keys to zoom in and out, works better for me! All the best! That’s a great one, thanks Andy for emailing this in. Your name does not have to be Andy if you want to email your own top tip in for this section! As I said at the start of the earlier this week I asked if anybody wanted anything covered in this month’s Podcast. On the back of this request we got lots of ‘support/ tech questions. So for one month only, we are going to have ‘Ask Andy’. Q. I’ve noticed that 2 versions of the recorded track saved to the Oregon with slight differences in distance and speed. Which is the most accurate: the Track Manger version or the one saved in Activity History? I do all the things I have been shown and transfer the plotted route to my GPS. What I find is that the direction pointer is out by 180 degrees and it has done this a number of times. I know the paths I’m walking so I ignore it, but is there something I’m doing wrong – I assume there must be but I haven’t found it yet. 3. The next question comes from Anne Scoular, who has been one of our SatMap courses in Northumberland. Q. My Satmap 12 fairly often ‘drops’ the active route on the walk, even although I activate the route and press the ‘start’ button at the beginning of the walk. This happened twice on my recent walk of 22k. Any thoughts? Could it be an intermittent loss of satellite signal in the Scottish Highlands, perhaps? Would be good to hear if anyone else has experienced this issue. 4. The next one comes Pauline Watkins who is from Cornwall. I’ve had to be away from my newish GPS for four months and I’d appreciate a mention with editing tracks, more particularly of how to join tracks and ensure they all go in the correct direction. Mine don’t, and I’m having trouble finding out how to correct them. If you’ve time, thanks very much. ANSWER in online resource – Garmin BaseCamp > Garmin BaseCamp – Video Tutorials > and it is the 8th video down – Amending your off-road walking route. As this is out twelfth Podcast I thought let’s have a competition to celebrate us creating a podcast for every month for the past 12 months. The prize is a free Birdseye Voucher. And the question is – Last weekend (4th August) I was at a large event with Garmin. What was the event. If you don’t know just go to our Facebook page and scroll down to the team shot from that day. – Many thanks for listening and let us know anything you would like to be covered in the Podcast, we made it to our eleventh Podcast. Many thanks for Andy joining me on this, the 12th episode of our GPS Training podcast.